We've been dying to reveal our latest bedroom makeover, which was in fact more MAKE, than makeover. 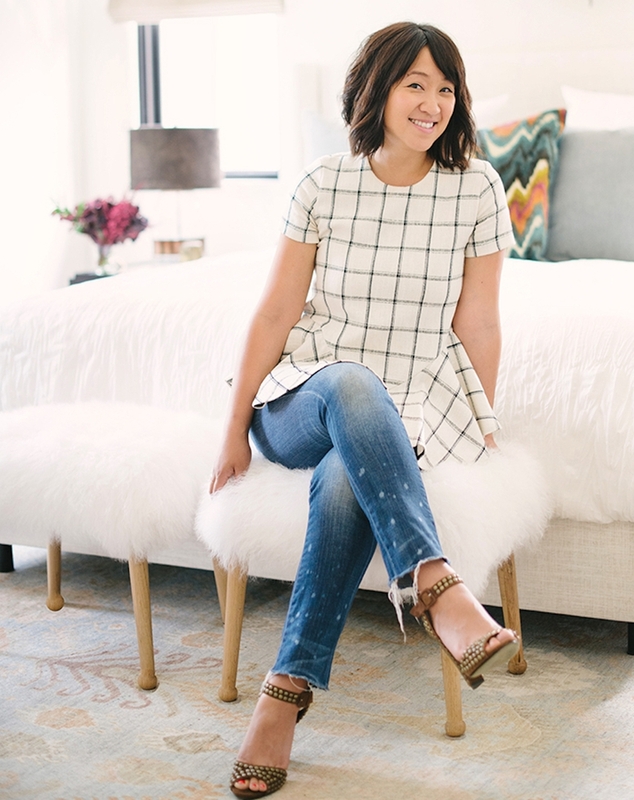 Here's why: blogger Erica Chan Coffman of HonestlyWTF came to Decorist with a truly blank slate master bedroom. 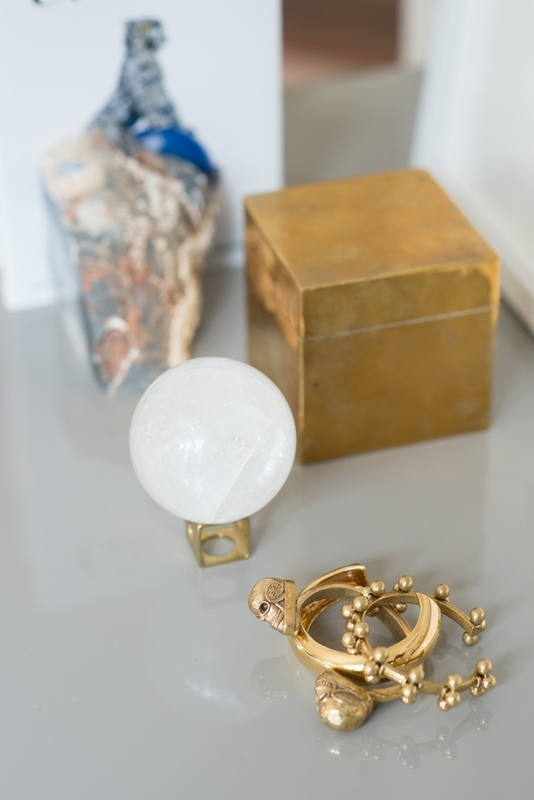 Having recently completed a house renovation, Erica and her husband were sleeping in an unfinished space. 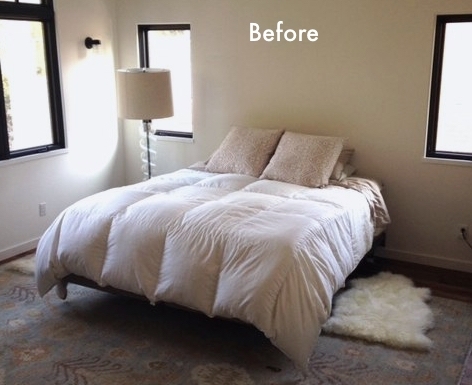 The before photo says it all -- just the essentials for a good night sleep: mattress, standing lamp, and a cozy sheepskin throw. OK, and a pretty perfect rug which was the one and only item that carried forward into the new bedroom design. Enter Decorist Celebrity Designer Will Wick, whose work Erica got to know through the Decorist Design Showhouse (Will designed the foyer, and clearly made a good first impression!). Here's the direction Erica provided in her online questionnaire: "I'd like to keep the rug, and really that's about it. I love subtle, neutral colors. I love melding rustic, traditional and modern elements together. Nothing too feminine!" While the final design is firmly rooted in the second design, Will made a couple of changes based on a combination of Erica's feedback and his desire to add dimension and a bit of drama to the room. 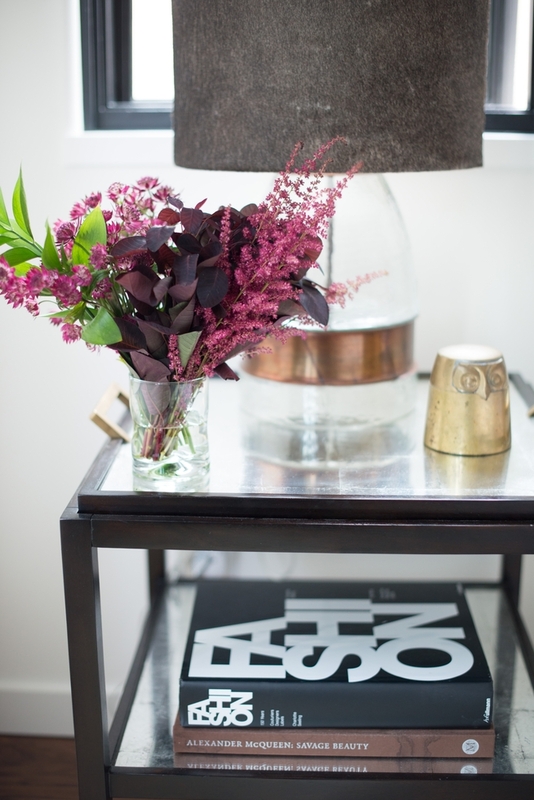 Most notably: he recommended a stunning vintage brass wall sculpture for above the bed (sourced on one of his many international scouting adventures), swapped the hide bench for two Mongolian fur stools from Anthropologie and included two just-to-market rustic glass and brass table lamps with hide (yes hide!) lamp shades from Pottery Barn. If you're wondering what the lamps are sitting on it's these fab Parisian side tables from Serena & Lily. There was also a bed swap; the modern wingback bed from World Market in Concept 1 made its way to Concept 2. 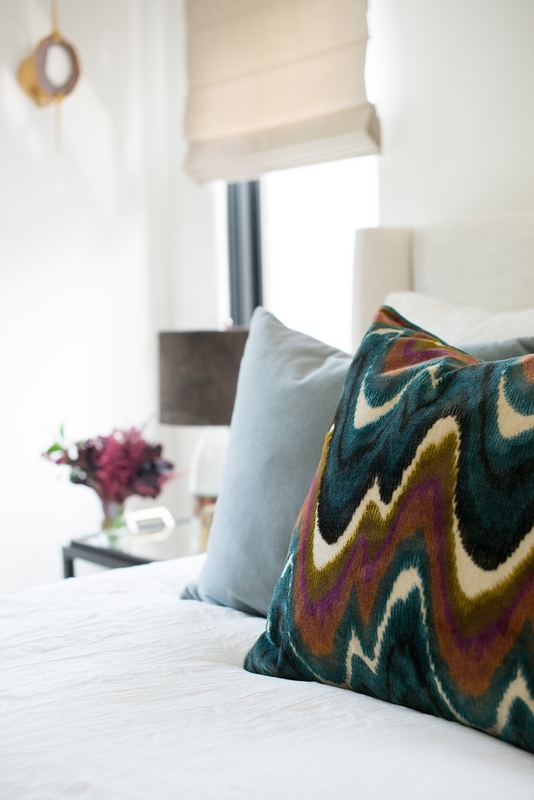 How fabulous is this richly colored and patterned velvet pillow from Jayson Home, paired with two mohair pillows from Room and Board. 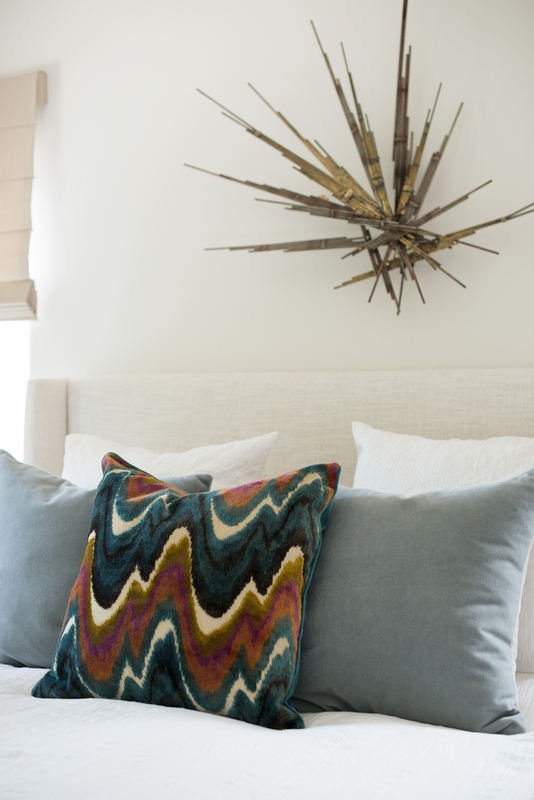 We love how the sharp lines of the sculpture contrast with the more undulating lines of the pillows. Spikes meet waves. The window treatments -- simple but essential -- are from The Shade Store. 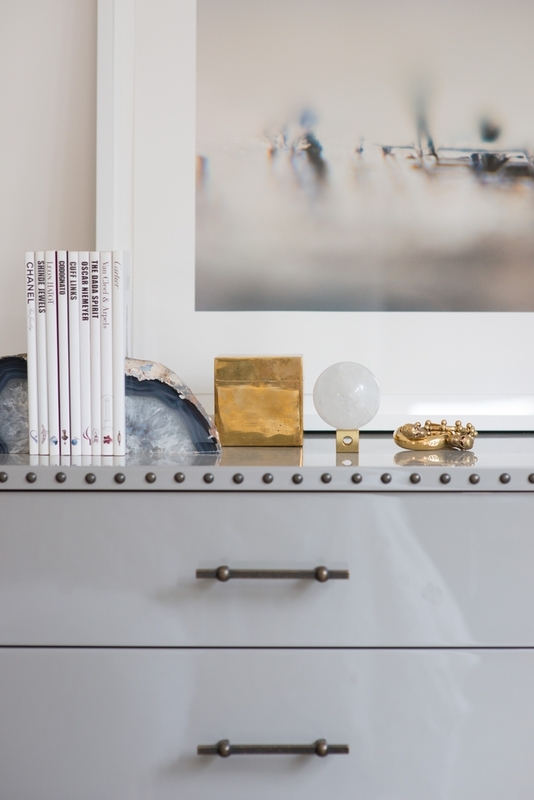 If we had to pick one favorite photograph from the shoot, this gallery wall / dresser vignette might be it. 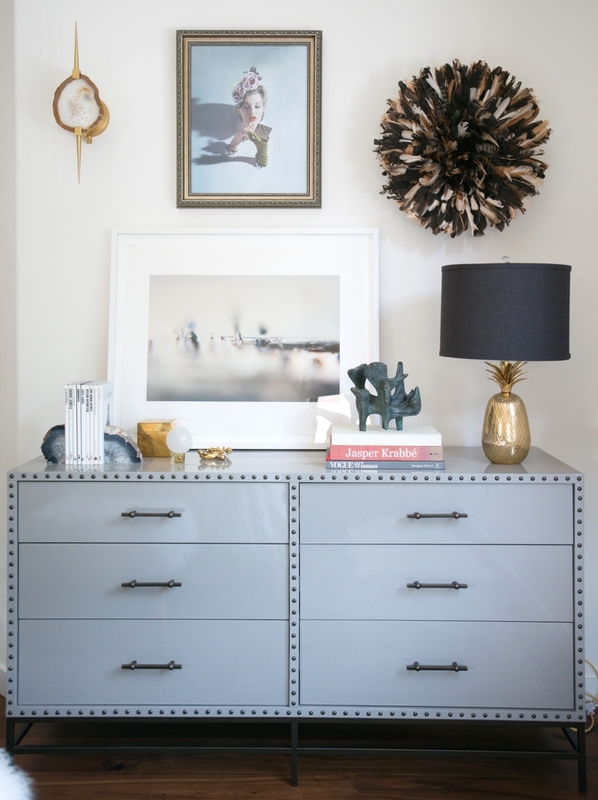 So many perfect details, starting with the nailhead trim on the lacquered gray dresser from West Elm. 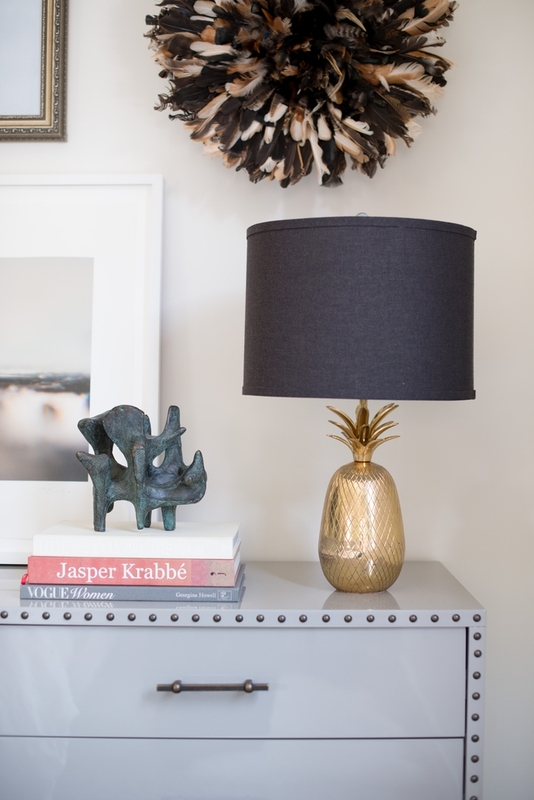 Beyond the details, we love how the art and accessories are part of Erica's design story, from gold framed vintage photograph from her personal collection, to the shiny brass pineapple lamp she scouted on Chairish, to the richly textured Juju Hat from St. Frank to the agate sconce from One Kings Lane. How gorgeous does Erica look in her new bedroom? OK enough talking. 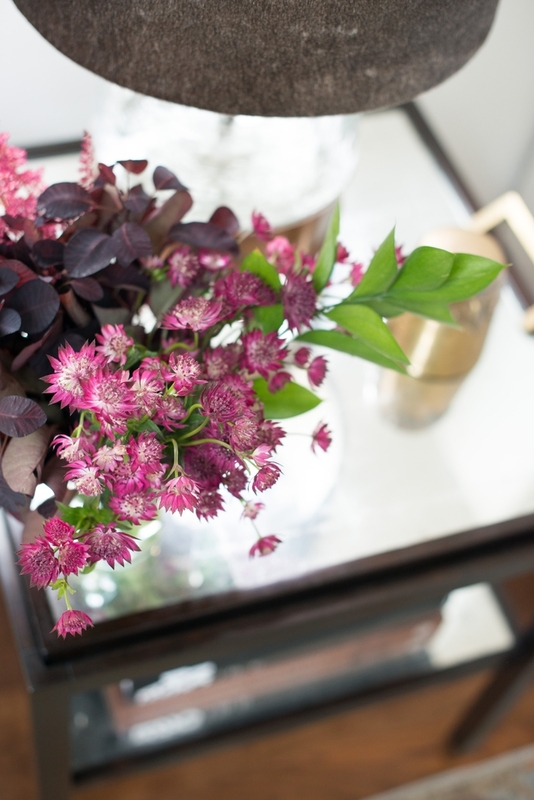 Enjoy the rest of the photos, taken by the talented Kristen Loken. Inspiring, right? If this makes you feel like turning your attention to your own bedroom (it did for us), our designers are here to help you get started!